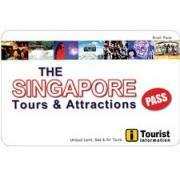 Purchase a “Singapore Pass” valid for one day and receive the second day free! This is an all-in-one sightseeing pass valid for admission to the Singapore Flyer, Asian Civilizations Museum, Orchid Gardens, Singapore River boat tours, and more! The “Singapore Pass” costs SGD63 (USD50) for adults and SGD33 (USD26) for children under 12. This is an online promotion and available until further notice. The “Singapore Pass” is valid for admission to 13 of Singapore’s most popular attractions including the Singapore DUCKtour, Singapore Flyer, City Sightseeing – City & Heritage routes, The Original Tour, HiPPO River Cruise, Bumble Bee Water Taxi, Sentosa & 2 IRS Rhino, Chinatown Heritage Centre, Malay Heritage Centre, Asian Civilization Museum, Singapore Art Museum, Singapore Philatelic Museum, Botanic/Orchard Gardens, Little India walking Tour and Chinatown walking Tour. The “Buy 1 Day, Get 2nd Day Free” promotion is available by purchasing your “Singapore Pass” online then presenting the e-receipt at the Singapore Duck Tours office at Suntec City Mall in Singapore. 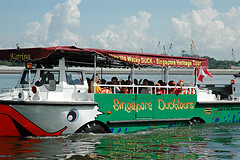 Visit the official website at http://www.ducktours.com.sg/ for full details or to make a purchase.